Cassandra Wilson (vocals); Fabrizio Sotti (guitar); Julien Labro (accordion); Nicola Sorato (bass); Mino Cinelu (percussion); Lekan Babalola (percussion). 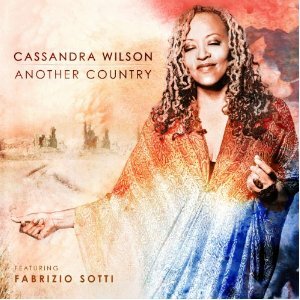 Genre defying vocalist Cassandra Wilson’s latest album, Another Country, represents a strong departure from her previous material focusing largely on guitar-oriented sounds. 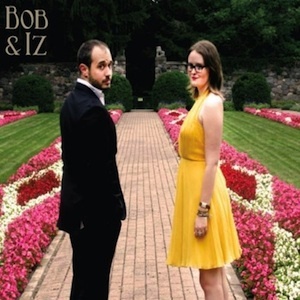 To foster this new musical direction she again collaborated with jazz guitarist/producer Fabrizio Sotti, with whom she worked with on 2002’s Glamoured. The two started from scratch in Wilson’s New Orleans home studio composing arrangements and an entire album’s worth of material by combining her lyrics with Sotti’s guitar-centric instrumentation. Sotti says “She is a total and complete musician/artist not just an outstanding voice/instrument.” Wilson and Sotti moved the sessions to Florence, Italy where they sought to keep the recordings spare by working with a minimalist band. The group includes Mino Cinelu on percussion, accordion master Julien Labro, Italian bass player Nicola Sorato and African master percussionist Lekan Babalola which rounded out the album’s sound. Throughout her decades spanning career, Wilson has received a litany of awards and her music has received high praise for its fusion of jazz, roots, country, pop and world music. Recent accolades include the 2012 Echo Jazz Award for Female Singer of the Year and a BET Soul Train Award in 2011 for Best Traditional Jazz Album for her last album Silver Pony. Among her numerous honors, Wilson has received two Grammy Awards—one for Best Jazz Vocal Performance in 1996 for New Moon Daughter and another for Best Jazz Vocal Album for her 2009 album Loverly. She dominated the Downbeat “Critics Poll” for 11 consecutive years from 1996 to 2006, and winning again from 2008-2011. Wilson was also awarded the Downbeat “Reader’s Poll” ten times, received The Miles Davis Prize at the 1999 Montreal International Jazz Festival and was named “America’s Best Singer” in 2001 by TIME. Wilson is also well known for her collaborations including notable performances with The Roots, Wynton Marsalis, Angélique Kidjo, Bill Frisell, Elvis Costello and Terrance Blanchard.